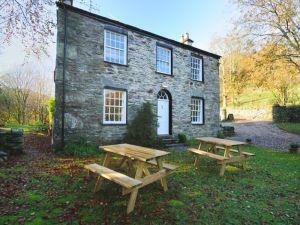 Thorney How Tourist HostelThorney How offers guest accommodation with 7 en-suite B&B rooms, and and also a 16 bedded Bunk House in Grasmere, the heart of the Lake District. Bunk House room - 4 person private. Comfortable and warm, carpeted, secure private storage, individual lights and comfortable chair. Access to unisex showers. Self catered, breakfast available to purchase. 4 per priv sometimes limits bookings to 3 or more days. Victorian built ground floor room with features, traditional king size double bed, mountain views, comfortable and warm, carpeted, personal storage and comfortable chair. Basic breakfast, towels, in room tea and coffee facilities included within price. En-suite facilities with shower.